Kassim x Neue Labs are presenting new innovations that will give fashion designers the tools to come up with stuff, that even we can’t imagine. Denim artisans Kassim, took center stage at Denim Premiere Vision in Paris this week. They were among the cherry picked brands exhibiting at the denim supply show. Introducing the season’s key concepts, attendees were given the opportunity to witness cutting edge designs, seasonal trends and special fittings. From concept to creation, Kassim was among denim powerhouses that included luxury houses, major retailers, iconic brands and standout designers. Coming together to show off their latest innovation, techniques and expertise, Kassim stood out among the creme de la creme with their fashion forward denim that offered something a little different, a connected jean. 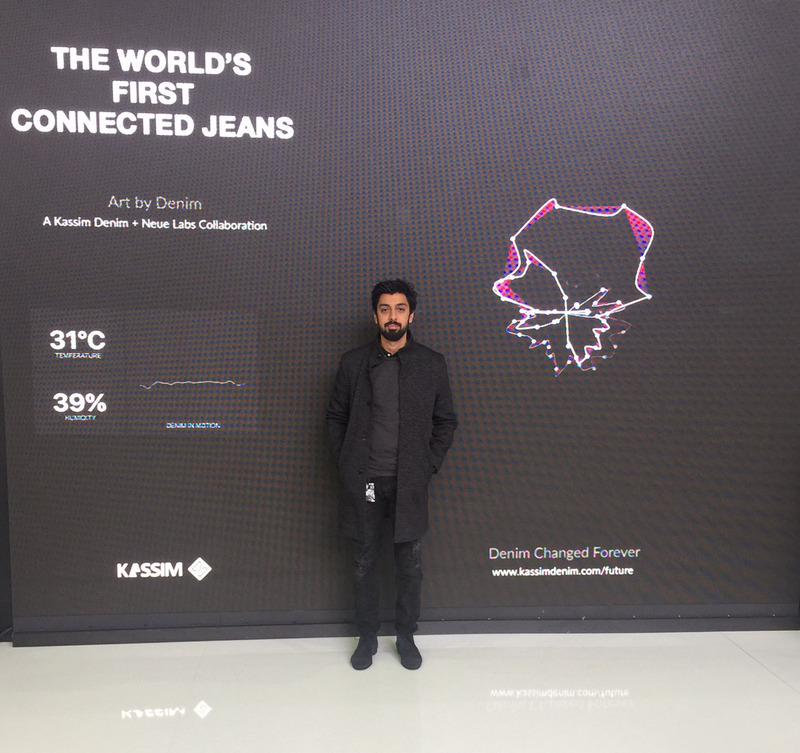 Promising to change denim’s future forever, Kassim partnered up with Neue Labs,a Swedish company known for fostering digital technology innovation. Together, the denim label and the tech company, came up with a product that has the power to change the game and question the rules. 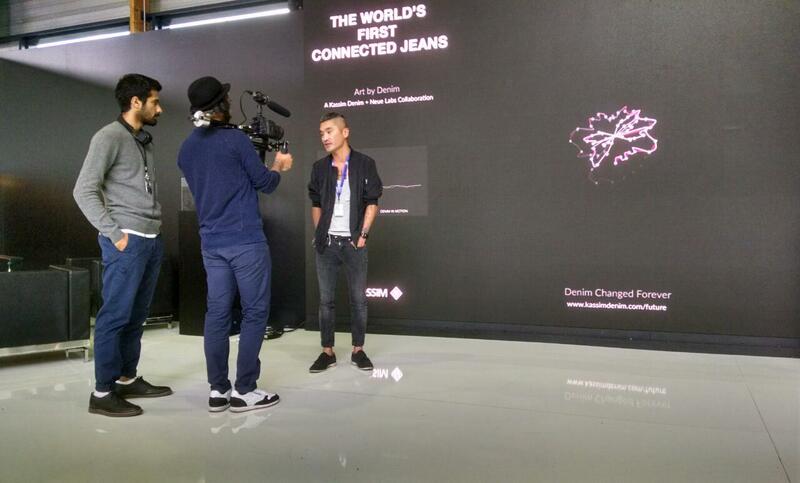 At the tradeshow, they wowed the crowd with a pair of jeans that was equipped with Neue Labs product Automat. 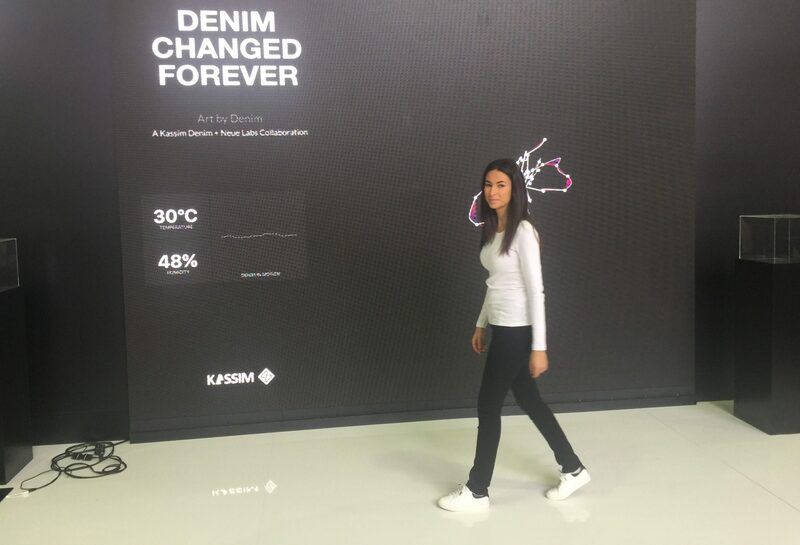 The rapid product development tool equipped Kassim’s denim with the ability to send sensor data based on humidity, acceleration, gyro and temperature. What is great about the technology being used is that it allows you to create your own algorithms. Imagine being able to control Spotify with motion patterns. Promising us a denim metamorphosis, has left us wondering, besides the technology, what else makes the Kassim denim a standout product? Founder Machiyara is not shy to admit that he is proud of the denim that they produce. They painstakingly engineer and meticulously research to ensure that they produce a high quality organic denim that will age beautifully. As the event came to an end, we came away confident that Kassim x Neue Labs are presenting the kind of new innovations that will give fashion designers the tools to come up with fashion ideas, that even we can’t imagine. Their partnership has given birth to a different kind of denim, a connected denim that complements the philosophical and ethical principles interwoven into the Kassim denim. Connecting the fashion industry to future technology, one of the creatives behind the tiny, flexible device that has been designed to act as a platform for different types of devices Kim Gustafsson of Neue Labs ended the interview with the following final words,“Go create!”. It was these simple words that confirmed that we do not need a crystal ball to predict that whether you prefer a skinny or a loose fit, it won’t be long before we all own a pair of connected jeans.